Did you celebrate last New Year’s Eve by eating tacos and going to bed at 10:45? First of all, congrats, because tacos are fantastic. But it sounds like you need a little kick in the pants, party-wise. If you’re going to go all out go all out. Let’s explore some of the world’s best (and most photo-worthy) New Year’s Eve celebrations. Head to Ecuador for one of the most unique New Year's parties you'll ever attend. They really take "out with the old" to a whole new level by setting homemade effigies representing people and events from the last year ablaze. Some of the dummies are even stuffed with fireworks to help move things along. On a related note, many participants start the new year with a trip to the emergency room. You might want to stick to taking pictures. Travel to the Netherlands for their annual lighting of the milk churns. This bizarre dairy based ritual is believed to ward off evil spirits. It’s a milk jug exploding extravaganza. You probably have to see it to believe it. Start your new year off in Thailand with a week-long nationwide water fight. It’s the hottest time of year in Thailand, so you’ll enjoy getting doused with buckets of water, pelted with water balloons and assaulted with water guns. More fun than streamers and confetti, don't you think? Edinburgh's Hogmanay is a three-day winter festival. It’s also the place to go if you think Times Square is just a little too low-key, as it’s one of the largest new year’s celebrations in the world. Begin the year in New Orleans’ French Quarter. Forget watching the ball drop. Here, at the stroke of midnight, Baby New Year drops from the top of Jax Brewery, and fireworks explode over the Mississippi. If you can make it to any of these party places, makes sure to take a lot of pictures. We want to see them. And you'll need some visual proof of your awesome new year's celebration. Especially if you get to explode a milk jug. This entry was posted in Photography and tagged holidays, new year's eve celebrations, photography on December 30, 2013 by admin. Where are you right now? Somewhere boring? Somewhere cold? Pennsylvania? Do you feel like a fool? Well, you should! Sure, sure, family is great. And traditions are… fine. But wouldn’t you love for your Christmas vacation to be a real vacation? There’s a lot to be said for spending Christmas somewhere new, or better yet, somewhere warm. So let’s all take a little break from this chilly reality and dream about our top 5 Christmas Vacations. Any tropical vacation will do. If you want a tropical vacation without leaving the United States, Hawaii is the best of both worlds. You get an exotic beach trip, but if your loved ones are in America, you can still give them a Mele Kalikimaka call on your cell phone without any extra roaming charges. This city is just about as festive as it gets. If you want to really celebrate Christmas, celebrate Christmas in Munich. They do the holiday right with a 100 foot tall Christmas tree in the Marienplatz, scores of Christmas markets, and plenty of mulled wine and gingerbread to get you in the spirit. You won’t have a chance to work on your tan in Reykajavik - in fact, you’ll only catch about 4 hours of daylight. But seeing the eerily beautiful aurora borealis light up the sky is even more magical than catching a glimpse of Santa’s sleigh. Speaking of which, a northern lights-themed Print on Plywerk would be a nice memento of the trip. Have a very cultural Christmas in New Mexico with the Taos Pueblo Christmas Eve celebration. Plus, you have the option to hit the slopes on Christmas Day at the Taos Ski Resort. The happiest place on Earth seems like a no-brainer if you want to have a very merry Christmas. This is a place that celebrates every day of the year. They know how to do holidays. And some time in the Sunshine State will cure you of that Seasonal Affective Disorder. This entry was posted in Photography and tagged Christmas vacation, holidays, Print on Plywerk on December 26, 2013 by admin. 1. This Bamboo iPhone Case hails from a fellow Portland-based company. It’s like the opposite of blinging out your phone, which we think is a very good thing. 2. Take a bite of some Bamboo Pickles. That’s right. Bamboo pickles. Sounds like something you need to try, right? This could very well be the next artichoke. 3. Math is boring and no one uses calculators anymore, but if you did, a Bamboo Calculator would make it pretty cool. Or sort of cool. It’s still math. 4. Buy a Bamboo Toothbrush! It’s a bathroom accent that helps another person get their brush on! 5. Have you ever wanted a Bamboo Keyboard and Mouse? No? Well, now you might. 6. Invest in a Bamboo iPod Amplifier for your next party. It looks cool and it’s one of those green gifts you’ve been hearing about. 7. Bamboo Sunglasses by Panda are stylish and altruistic. They work with TOMA to provide eye exams and eyewear to people in need. 8. The Bamboo Desk Lamp is just a really cool modern office accent. It’s what you would put on your desk if you worked in the Rainforest Cafe. 9. It doesn’t get much more environmentally friendly than a Bamboo Bike. What will they think of next? 10. For some reason this Bamboo Clock seems to be geared toward kids. But why shouldn’t adults want an amazing bamboo clock that is shaped like a hedgehog? It’s probably a typo. This entry was posted in Eco-Conscious and tagged bamboo gifts, unique bamboo products on December 24, 2013 by admin. Remember your first apartment? The thrill of buying a shower curtain all by yourself? And picking out a comforter? And matching things to your comforter! And then you discovered throw pillows. You had fun, despite the fact that you had a very limited budget (no budget) and were afraid to hang too much on the walls, because the landlord made a big deal about not putting holes in the walls. But it was a turning point. It's probably when you discovered that this is something you could really get on board with. Design! Decor! Home decor is the sort of thing that’s not too appealing until you have a home. And now you do! And you could spend endless hours daydreaming about things you could do with it. So you’ve already got a problem. And we’re enablers. That’s why we’re going to share with you some of the best design blogs. 1.) You probably already know and like Design Sponge. That’s because founder Grace Bonney is like the Tom Hanks of design blogs, if that makes any sense. Everyone knows and loves her. And we all understand why. 2.) If you need interior design help, Bliss is a wonderful place to get lost for a day. Or a week. Plus, Traci French is an Oregonian (and Plywerk customer), so you know she’s pretty rad. 3.) You might know Emily Henderson from HGTV. She won DesignStar and went on to have her own show. But her blogging over at Style By Emily Henderson is delightful. You'll find great ideas and a good sense of humor. Nutritious AND delicious. And another Oregonian? This is getting weird. 4.) Little Green Notebook is another fine resource for design tips and DIY projects. And if you like to know your blogger, you’ll enjoy seeing inside Jenny Komenda’s home. 5.) Making It Lovely by Nicole Balch is full of helpful tutorials and jealousy-inducing pictures. This entry was posted in Beyond Plywerk and tagged design blogs, home decor, home decor blogs, interior design blogs, Plywerk on December 23, 2013 by admin. A lot of everyday places get bad reputations. No one likes spending time in the school principal’s office. We all hate sitting in the doctor’s waiting room. And, for the most part, the conference room at work never really screams “cool.” But that doesn’t mean that the conference room should just stop trying. Don’t give up! There’s room for improvement! And we’ve got some conference room decoration ideas that might just bump it up a couple notches on the awesome-meter. Plywerk in a conference room will really add some flair. Some well-placed conference room art could be the cure to those conference room blues. And you can take a step in the right direction with some stylish Prints on Plywerk. 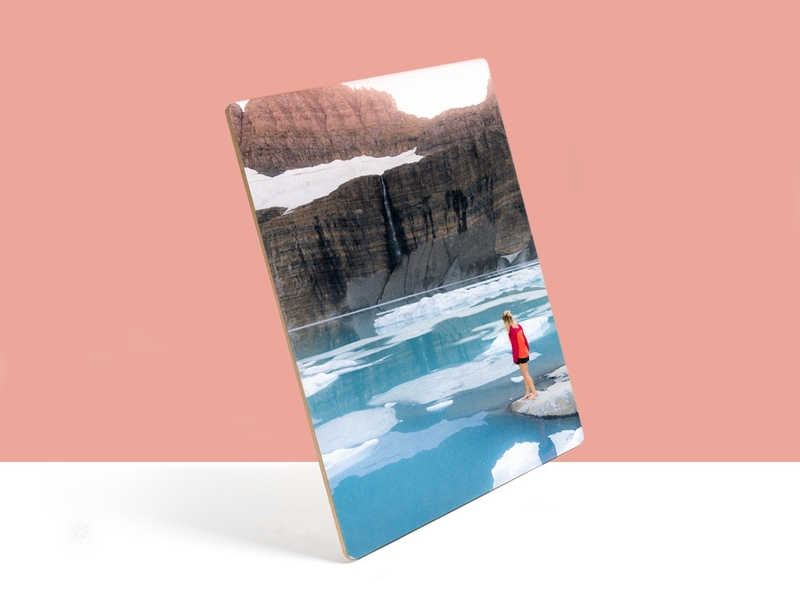 These sleek wood-mounted photos are the perfect business decor to bring your office out of that aesthetic slump. And best of all, the possibilities are endless. You can say whatever you want to say with a Plywerk wall photo. Your art should be unique to your company. If you can provide the jpg, we can make it happen. Say goodbye to that boring generic stock art. An old painting of a sailboat probably isn’t sending the right message anyway. Of course if you’re in the sailboat business, a new photo of a sailboat might be exactly what you need. But your business decor isn’t just about giving employees something new to stare at while they’re sitting in those endless meetings. (Of course, they will appreciate it too.) Some nice updated business decor sends a message to everyone who visits your office. With Plywerk gracing your walls, you’ll be sure to impress prospective clients, win friends, and make your parents proud. Or, maybe you’ll just impress prospective clients. But you’ve got to start somewhere. And that’s a pretty good place to start. By the way, doctors and school principals, you’re long overdue for a makeover. This entry was posted in Photo Mounting, Photo Panels and tagged Bamboo art panels, business decor, conference room art, conference room decor, corporate art, corporate artwork, office decor, photography, Plywerk on December 16, 2013 by admin. You’re a pretty bold individual. You don’t play by the rules. You challenge convention. You eat cookies before dinner. Heck, sometimes you eat cookies FOR dinner. Good for you, by the way. The point is that you defy conventions and we like that about you. That’s why we want to tell you how you can make a cool split panel photo. Split panel pictures are not for everyone. But you’re not exactly ‘everyone,’ now are you? If you’ve got a blank wall, a prized photo, and an adventurous spirit, it might be for you. 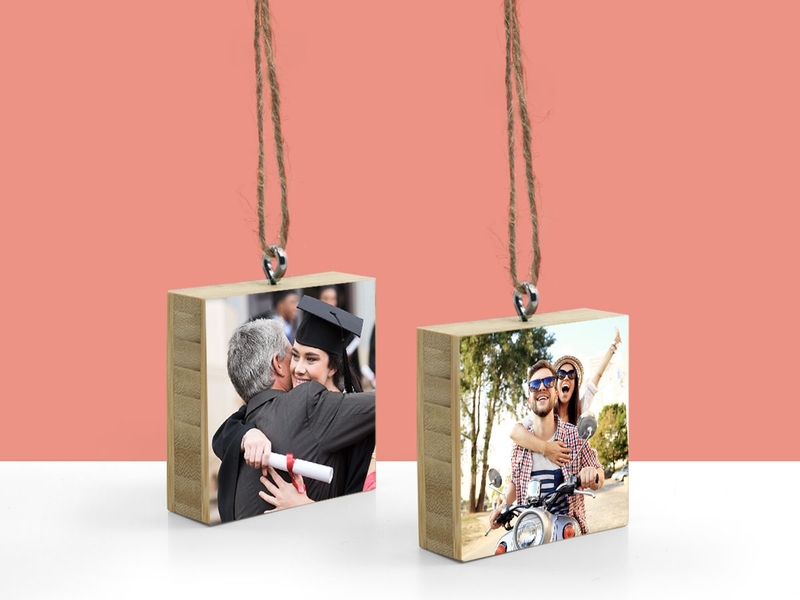 A split panel photo is a truly unique way to showcase one of your favorite images. 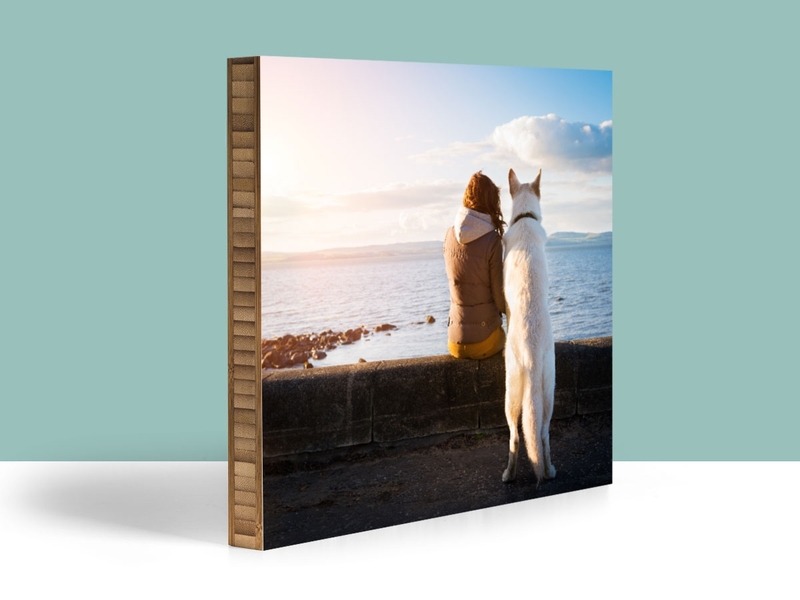 By splitting one image across a group of canvasses or, in this case, wood panels, you can create a dramatic effect with a contemporary feel. 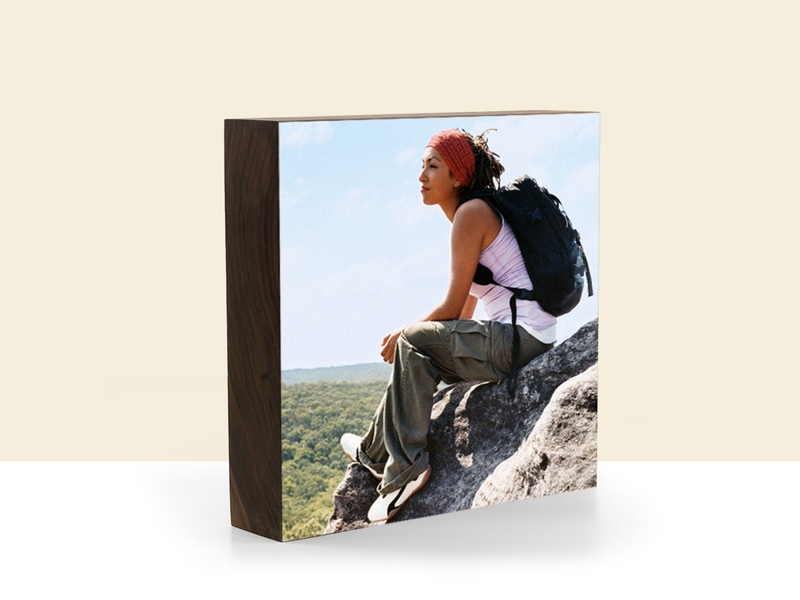 Split panel frames turn any photograph into a genuine display. Take a really special picture and transform it into an exhibit. You can give it a shot with just about anything - wedding pictures, vacation photos, action shots, landscapes. A picture from your family reunion in Saugatuck, Michigan? Split it! Your trip to the Albuquerque International Balloon Fiesta? Split it now! It’s easy to create a DIY split panel. All you have to do is choose a picture, and divide the image up into the sizes that you want. You can divide an image evenly between two panels, or you can spread it over even more pieces and use a variety of sizes in your arrangement. Whichever way you slice it, you’ll end up with a remarkable display for your home. Choose a photo. Split that photo. And order your desired number of panels from Plywerk. You’ll be glad you did. Oh, but hopefully you’re good at hanging pictures. Make sure you have your level, you renegade. *If you do not know how to split up the photo yourself, shoot us an email. We are happy to slice it into any dimensions that you would like. We charge $60/hour for this type of service but it typically only takes about 15-20 minutes, depending on what you have in mind. This entry was posted in DIY, Photo Panels and tagged diptych, DIY split panel, Plywerk, split panel canvas, split panel photo, split panel pictures, triptych on December 15, 2013 by admin. When you think of screen printing, you probably think of t-shirts. And while we’re not going to say anything against t-shirts here, we will say that you can do better. (And honestly, we love t-shirts. Who doesn’t? They definitely make the list of our top five favorite kinds of shirts.) But we’re wood people at Plywerk. And wooden t-shirts, albeit durable, are highly impractical. So let’s take the best of both worlds and try a screen print on bamboo! Screen printing, also known as silk screening, is an image transfer process that’s been used for centuries. Of course history is easier when you only look at the last 50 years or so, and that’s why we often credit Andy Warhol with making it popular. Remember those brightly colored pictures of Marilyn Monroe? Screen printing. Screen printing is best suited for flat or relatively flat surfaces. The process takes a design and duplicates it on another surface, most often a fabric. But, like we said, you can also use it to print on other surfaces, like plastic or wood. And you can do it yourself! At home! Are you sold? If you’re at all familiar with screen printing, this concept should be pretty simple for you. And if you’re not familiar with screen printing, there’s no day like today. Make yourself familiar. But you might want to practice on something before graduating to wood. And when you feel like you’re ready, we’ve got your wood. Best of all, we’ve done some of the work for you already. 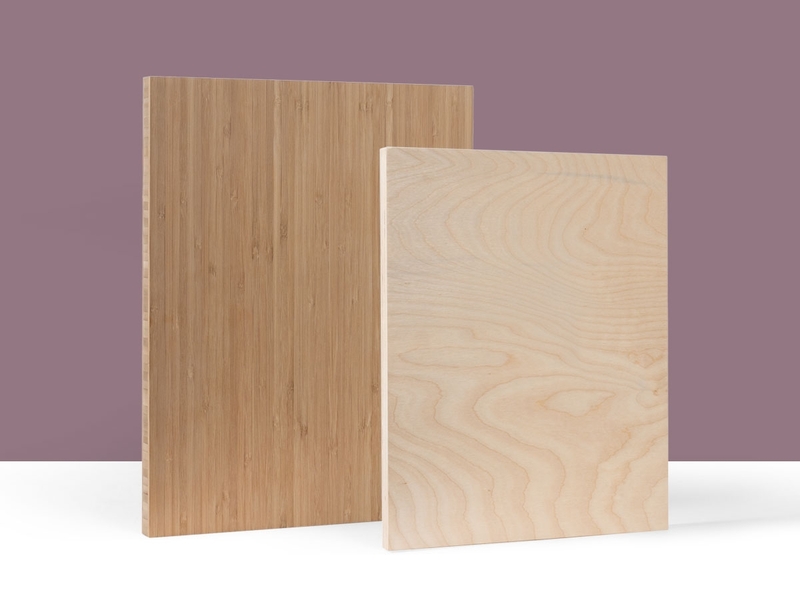 Our blank bamboo panels are already smooth and ready to go. Plus, they’re also ready to hang. If you want a little support, there are DIY screen print tutorials that will guide you on this incredible journey. So get printing! We know you can do it. This entry was posted in DIY, Photo Panels and tagged art panels, Bamboo art panels, DIY screen print, Plywerk, screen print, screen print on bamboo, screen printing on December 14, 2013 by admin.